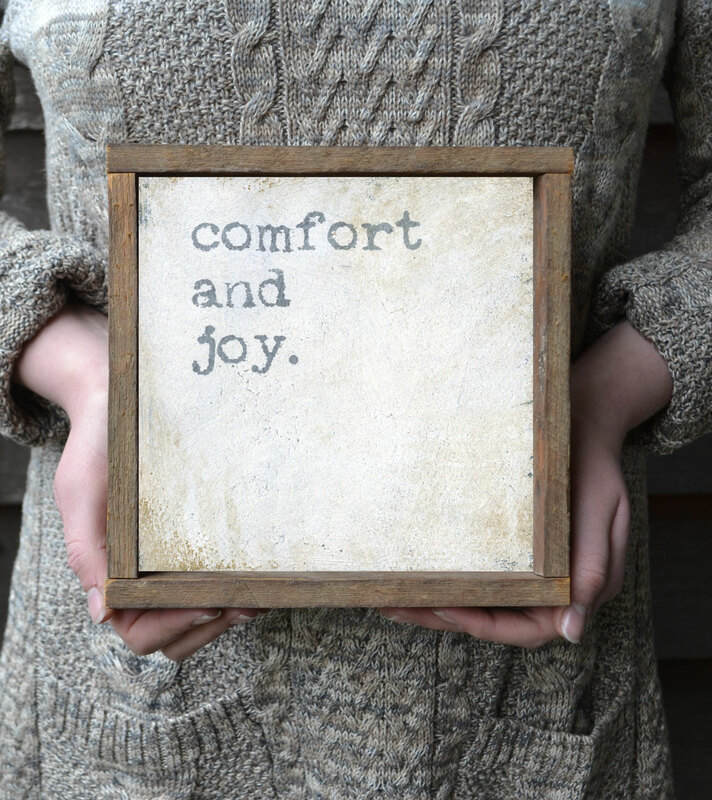 This rustic Christmas wall art features the phrase “comfort and joy”. The simple style and color scheme makes it the perfect addition to your farmhouse style decor. 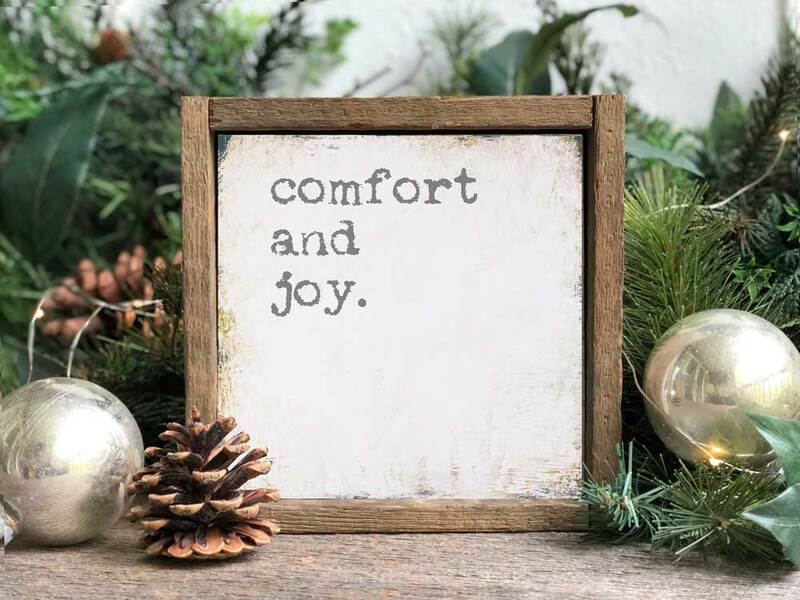 The white and gray color scheme of this Christmas wall sign will freshen up your existing holiday decor. 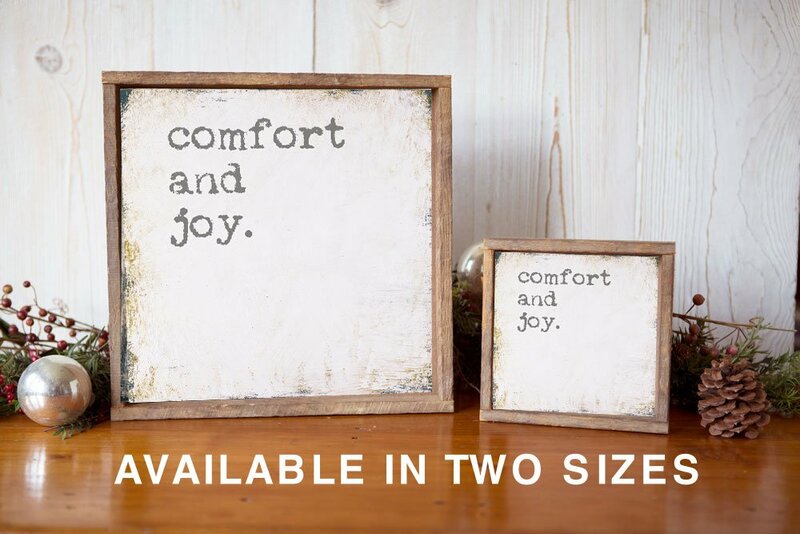 Comes framed with hanging hardware attached so that you can easily hang it up or prop it on a bookshelf, end table, or mantle right out of the box! 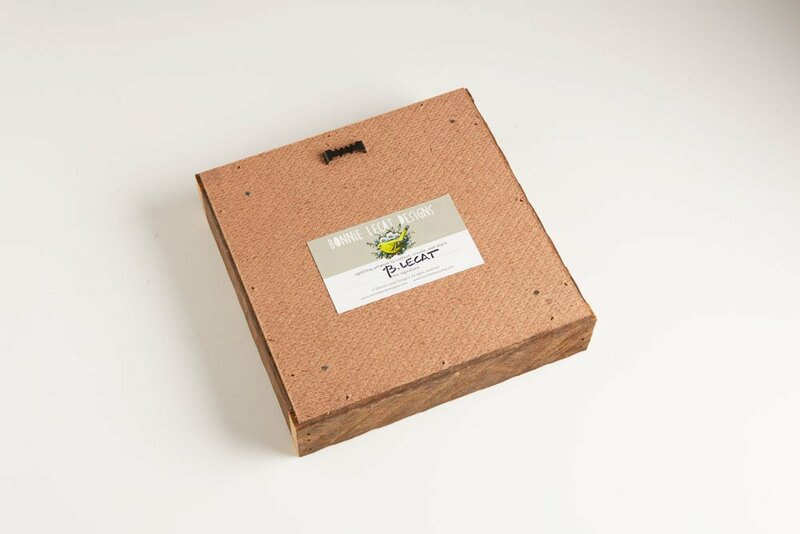 Printed using only the finest museum quality archival textured fine art papers, canvas, and archival inks to ensure years of enjoyment.